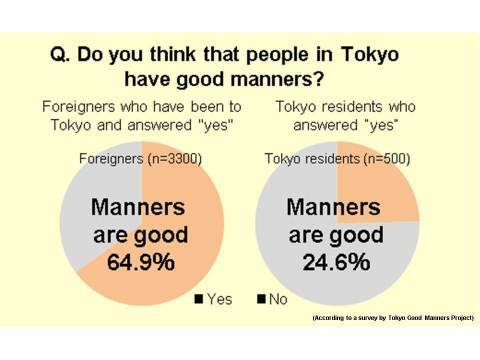 improving the manners of Tokyo residents and tourists. in Tokyo is held in high regard by the rest of the world. that Tokyo residents have an extremely low opinion of themselves. concept, TGMP is taking action in various ways. will be disseminated to the public. disseminate to the world TOKYO GOOD as a form of culture.